We will be happy if you join us by ERASMU+ Programme. Institute of Information Engineering, Automation and Mathematics (IAM) is a part of Faculty of Chemical and Food Technology (FCHPT), Slovak University of Technology in Bratislava (STU). Any ERASMUS+ exchange students are covered by administration of STU. You can visit our IAM homepage or you can check our location on the map here. You can visit STU homepage, and FCHPT homepage. You can check the contact information here. You can download the abstracts of the courses here. You can download the IAM flyer here. Please check the STU homepage of ERASMUS+ International Students here, where you can find much more useful information how to apply for your ERASMUS+ study stay at STU. That web-page is an important initial step to your ERASMUS+ study stay at STU. You should check also General Information for students here. You can find more Information on Institution here. You should check ECTS Information Package of STU here. 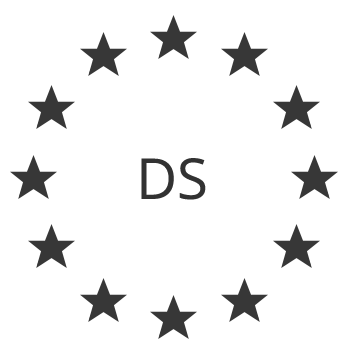 ECTS Label of STU can be find here. 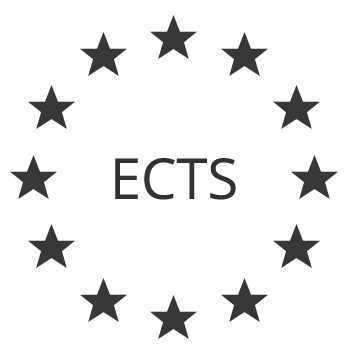 You can check Information about ECTS Credits Allocation here. You can find many important contacts that will help you to manage your ERASMUS+ study stay at STU in web-page Arrangements for Academic Guidance here. STU has almost 200 ERASMUS+ partner institutions in 25 countries. Here you can check the list of ERASMUS+ Agreements to make sure, whether your home university already is STU ERASMUS+ partner institution or not. In case you did not find your home university in that list, we will help you to manage the ERASMUS+ Agreement with STU. You can find the useful information about the services for students, such as available accommodation during your ERASMUS+ study stay at STU in web-page Services for Students here. Here you can also find detailed information about accommodation, learning facilities, sports and leisure facilities. WiFi - FCHPT is covered by WiFi free zone of EDUROAM. Detail information about Education Roaming system EDUROAM are here, and information about EDUROAM in Slovakia can be found here. Canteen - FCHPT enables students to have a lunch in the Canteen located in the second floor of FCHPT building. Buffet - in a building of FCHPT is located also a Buffet. Library - in a building of FCHPT is located Slovak Chemistry Library that offers students many facilities. You can check their homepage here. Chillout Zone - in a building of FCHPT is located also "Chillout Zone", a room for students. Sports - FCHPT offers students many sport activities, such as gym (soccer, floorbal, volleyball, badminton, crossfit, etc. ), fitness, spinning, table-tennis room, sauna, etc. International students for exchange study stay at STU can find useful information in web-page Exchange Students here. Here you can find some interesting information about Bratislava, the capital city of Slovak Republic. Bratislava is friendly city with population about 500 000 citizens. You can find more information written in Wikipedia here. You can visit the official site of Bratislava here. The upcoming events in official site of Bratislava are listed here. The top sightseeing in Bratislava according to site BratislavaVisit are listed here. You can check the TripAdvisor to check the top things to do in Bratislava here.